These days, BCAAs are not enough. Sure, they’re vital if you’re into bodybuilding. However, BCAA supplements which go the extra mile win customer approval. GASPARI AminoLast is the perfect example. It’s not your ordinary BCAA supplement, mind you – its BCAA components are just the tip of the iceberg. Hey, it’s bodybuilding legend Rich Gaspari’s product. We’re confident it will be your go-to super fuel from here on out. These should be enough to pique your interest for another awesome review. Ten grams of amino acids per serving. Feed your muscles the right way. Has two grams of leucine peptides. Bioavailable form of l-leucine for more muscle mass. Taurine and l-ornithine l-aspartate components. Helps product establish unique identity. We love BCAA products which have ties to bodybuilding legends. There’s just something about these supplements which make you want to work out and conquer your personal bests at the gym. Long story short, they’re inspiring. Take, Labrada BCAA POWER Powder, for example: its seven grams of fermented branch-chained amino acids per serving should help you put on some serious muscle mass. Besides, one look at Labrada Nutrition founder Lee Labrada’s awesome physique, you’ll want to crank out those reps in no time. On that note, let’s see if GASPARI AminoLast can exceed our expectations. If the name rings a bell, well, you guessed it – the founder is IFBB Hall of Famer Rich Gaspari. We’re stoked his company is the creator of this superior BCAA supplement. 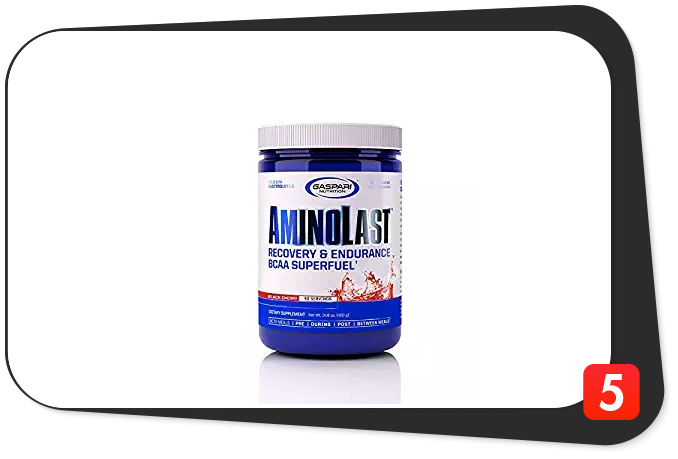 Gaspari AminoLast is the “Recovery & Endurance BCAA Super Fuel,” per its official website. “AminoLast with AMMOJECT technology is the only product that delivers a high dose of BCAAs, powerful leucine- enriched peptide amino acids, anti-cramping electrolytes, and AMMOJECT to help rid your muscles of waste products that can cause fatigue,” per the same source. 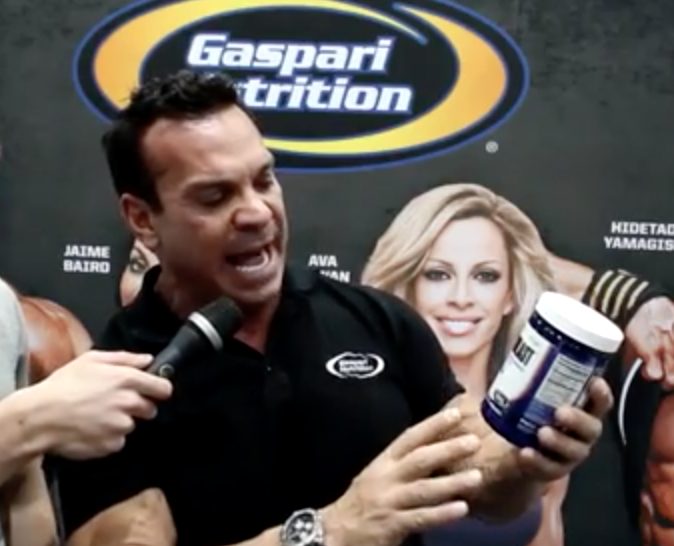 There’s no question bodybuilding legend Rich Gaspari is proud of his GASPARI AminoLast. We think this product’s slogan is catchy, to say the least. That kind of description can convince consumers it’s the real deal. Gaspari and Co. also claim this supplement can produce immediate results because of its accurate doses, per their official website. Not only that, but they say “there are numerous trials to support the doses in AminoLast,” per the same source. It seems to us GASPARI AminoLast is the perfect complement to your exercise and nutrition goals, folks. Bear in mind this product has an impressive 10 grams of amino acids per serving. That much is sure to ramp up endurance, shorten recovery time, and fire up your workouts. Leading the charge are five grams of BCAAs per 14-gram scoop on a 2:1:1 BCAA ratio. Listen, many BCAA products have two grams of leucine for every gram of isoleucine and valine per serving. Gaspari AminoLast’s slightly-higher BCAA content should help give you an edge. If it’s a BCAA supplement we’re talking about, you can’t go wrong with 2.5 grams of l-leucine per scoop. Don’t forget, leucine is the most anabolic amino acid. It helps kickstart the muscle protein synthesis process – you won’t grow any muscle without it. Period. Leucine also helps preserve muscle mass and boost fat loss. In terms of the fat loss aspect, leucine signals the release of an appetite-suppressing hormone from the hypothalamus. The key takeaway: leucine helps you muscle up and get shredded. We’re confident GASPARI AminoLast’s 2.5 grams of leucine per serving will help you achieve these fitness goals. It turns out that’s just the proverbial tip of the iceberg, folks. Gaspari AminoLast also has two grams of taurine per scoop. Check out GASPARI AminoLast’s two grams of leucine peptides (as PepForm) per serving – its bona fide secret weapon. This component is made up of leucine bound to leucine peptides isolated from whey protein. The advantage: better bioavailability for more impressive overall results. Not to mention, more muscle growth a la Rich Gaspari. No bodybuilding enthusiast wouldn’t want that. We think the inclusion of these leucine peptides helps separate GASPARI AminoLast from the rest of the field. Remember, not too many BCAA supplements have leucine peptides. Might as well seize this opportunity. This BCAA supplement also has 1.25 grams of l-isoleucine per scoop. You can see for yourself isoleucine is a crucial BCAA if you want to speed up the recovery process and then some. We say 1.25 grams of isoleucine per serving will get the job done. Next up are 1.25 grams of l-valine per serving. Just like isoleucine, valine also helps ramp up endurance and repair muscle tissue. Plus, valine helps improve sleep quality, quell anxiety, suppress appetite, regulate the immune system, and increase muscle growth. When it comes to versatility, valine gives isoleucine a run for its money. Good thing they work well in tandem with l-leucine. These three BCAAs are a sure-fire way to give you impressive results in and out of the gym. We feel 1.25 grams of valine per serving is just about right for a BCAA supplement. GASPARI AminoLast’s final key ingredient is one gram of l-ornithine l-aspartate (as AmmoJECT) per scoop. This ingredient (simply known as LOLA) “has been shown to reduce ammonia and improve psychometric function,” per GASPARI Nutrition’s official website. LOLA “is able to reduce high blood ammonia levels induced either by ammonium chloride or protein ingestion,” per the same source. The manufacturer also says LOLA helps increase protein synthesis and preserve hard-earned muscle pass. Just so you know, l-ornithine is a non-protein amino acid which helps boost fat loss, increase human growth hormone (HGH) levels, detoxify ammonia, and regulate liver and immune system function. These benefits are consistent with GASPARI Nutrition’s claims. LOLA is another rare BCAA product ingredient. We won’t be surprised if anyone who’s new at taking bodybuilding supplements has lingering doubts. Well, based on the high ratings customers have given GASPARI AminoLast, we say LOLA works like a charm. It seems LOLA is a great complement to any BCAA supplement – you’ll muscle up and lean out for sure. GASPARI AminoLast is not a perfect product – the Black Cherry flavor has sucralose. Some customers have also given its taste (for all varieties) mixed reviews. Well, we agree – it’s not the best-tasting BCAA supplement on the market, for sure. Nonetheless, GASPARI AminoLast is still a high-quality product – the ingredient combo is flat-out impressive, to say the least. BCAAs have a ton of benefits (protein synthesis, fat loss, shorter recovery time, etc.). This supplement’s taurine, leucine peptide, and L-ornithine l-aspartate components kick it up several notches higher – way higher. We’re confident GASPARI AminoLast will help you achieve your fitness goals for the long haul. Calories, 10: GASPARI AminoLast has a ridiculously low calorie count at just 10 per scoop. It won’t compromise your nutrition goals, for sure. Protein, 2 g: This product is not a significant source of protein at just four percent of the daily value (five percent or less has a low value). Calcium (as Calci–K Calcium Potassium Phosphate-Citrate), 92 mg: While GASPARI AminoLast’s calcium levels aren’t through the roof, they should help replenish your depleted electrolyte stores, nonetheless. Magnesium (as Albion Dimagnesium Malate), 20 mg: GASPARI AminoLast is not a significant source of magnesium at just five percent of the daily value. Sodium (as sodium chloride), 25 mg: This supplement’s low sodium content makes it ideal for those who are monitoring their salt intake. L-leucine, 2,500 mg: The BCAA which helps kickstart muscle protein synthesis. L-leucine also helps preserve muscle mass and boost fat loss. This much in a BCAA supplement should help you reap these benefits. Taurine, 2,000 mg: A versatile amino acid which helps lower stress levels, torch fat, improve insulin sensitivity, sleep quality, and exercise performance; raise testosterone levels, shorten recovery time, and shore up cardiovascular and brain function. Leucine peptides (as PepForm), 2,000 mg: When you put together l-leucine and leucine peptides sourced from quality whey protein, good things happen. Better yet, muscle growth happens. L–isoleucine, 1,250 mg: This BCAA helps ramp up endurance, repair muscle tissue, shorten recovery time, regulate blood sugar level and blood clot formation, and retain a positive nitrogen balance for more muscle growth. L-valine, 1,250 mg: This BCAA helps increase endurance, repair muscle tissue, improve sleep quality, lower anxiety levels, suppress appetite, boost the immune system, and ramp up muscle growth. L-ornithine l-aspartate (as ammoJECT), 1,000 mg: A non-protein amino acid which helps increase fat loss and HGH levels, detoxify ammonia, and boost liver and immune system function. On paper, GASPARI AminoLast is one of the most impressive BCAA products we’ve stumbled upon. Many customers will second the motion, mind you – they swear by this product. Take GASPARI AminoLast for what it means – it’s a BCAA supplement which will ramp up your energy levels and improve your exercise performance like no other. Well, the three BCAAs take a virtual backseat – the other components such as taurine, leucine peptides, and l-ornithine l-aspartate (LOLA) give GASPARI AminoLast its unique identity. We are 100 percent sure these inclusions complement the benefits of BCAAs perfectly. On that note, expect increased protein synthesis, shorter recovery time, better heart health, and increased fat loss, among other things. If you feel 2.5 grams of leucine per scoop aren’t enough, two additional grams of highly-bioavailable leucine peptides should do the trick. We’re confident these will help you remain in an anabolic state all day long. The LOLA addition is also a nice touch – it should help you lose fat and preserve muscle mass in conjunction with good nutrition, regular exercise, and enough sleep. We feel GASPARI AminoLast’s ingredient combo is spot on. As for the electrolyte content? They won’t make a sound impact, except for calcium (which has the highest electrolyte content at nine percent of the daily value). The manufacturer also does an excellent job in terms of transparency – it divulges all of the ingredient amounts. Gaspari AminoLast may be a solid product, but it sure isn’t perfect. For one, most of its flavors (except Fruit Punch), have sucralose (an artificial sweetener with several side effects). Second, the taste is below average. For us, Lemon Ice stood out. However, it still won’t beat out other big-name BCAA supplements in this department. Many customers will agree with us, for sure. GASPARI AminoLast also doesn’t come cheap: one 420-gram container costs $44.99. The last thing you want is increasing supplement prices. Nonetheless, GASPARI AminoLast’s pros still outweigh the cons – this product is superior to many pretenders out there. It will also help take your performance the next level. We agree with all of these claims. GASPARI AminoLast should also help increase your endurance and complement your nutrition goals quite nicely. This is an impressive BCAA supplement which will help you achieve your fitness goals and then some. The manufacturer intended GASPARI AminoLast for healthy and active individuals who are at least 18 years of age who want to increase muscle mass and endurance, shorten recovery time, fill nutrition gaps, lose fat, and achieve their daily fitness goals. GASPARI AminoLast contains sucralose, an artificial sweetener which has certain side effects. If this, or any other ingredient, makes you feel doubtful, please consult your physician before purchasing GASPARI AminoLast. Awesome ingredient combination. One of the most impressive BCAA formulas we’ve stumbled upon. Ten grams of amino acids per scoop. Feed your muscles the right way. 2:1:1 BCAA ratio. Usual ratio for a BCAA supplement. Leucine peptides. Bioavailable form which complements 2.5 grams of l-leucine perfectly. Two grams of taurine per serving. Versatile amino acid with a ton of health benefits. Contains l-ornithine l-aspartate. Non-protein amino acid which helps boost fat loss, increase HGH levels, and detoxify ammonia. Clinically-dosed ingredients. Many studies support ingredient doses. Excellent transparency. Manufacturer reveals all of the ingredient amounts. Bravo. Has sucralose. Artificial sweetener with several side effects. Boo. Taste. Not the best on the market, for sure. GASPARI AminoLast’s ingredient combo should blow many bodybuilding enthusiasts away. Like we said, take this supplement for what it means – a BCAA supplement for increased endurance and shorter recovery. You will also reap many more benefits along the way. We recommend you buy GASPARI AminoLast and add it to your supplement stack. You will conquer your long-term fitness goals, for sure. On that note, a better-tasting formula wouldn’t hurt one bit.